I wonder whether Uno have sufficient space to take any more TfL routes, such as routes 184 and 307 also serving Barnet currently out to tender? They may want to start running what they won and then afterwards if they want bid for more routes. 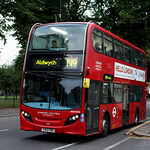 Has it been confirmed what bus type route 383 is receiving? Could be another 432 case scenario otherwise. Uno don't have any routes awaiting a NBfL conversion so it's nothing like the case of the 432 - they don't even have any TfL routes at all. 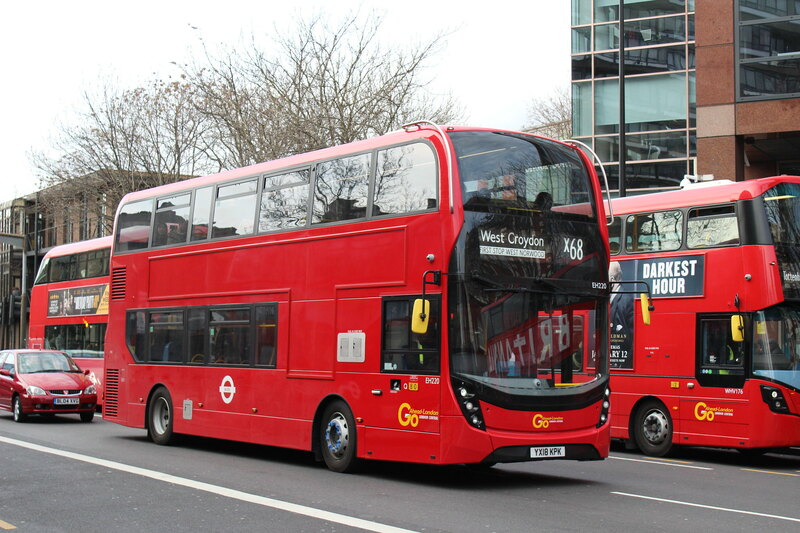 It will most likely be new Streetlites, Solo SR's or Enviro 200's as they operate all those types with success. Whatever they order, it hasn't been confirmed yet. Only thing in comparison is that the actual allocation for 432 was announced late. 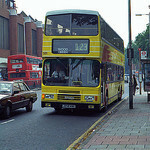 Does anyone know if the 383s buses are MMCs or not? Or if they will even arrive on time? Rather oddly TfL are consulting on Uno's commercial route 615 which runs into Greater London under a London Service Permit. The gist of the proposed change is to halve the daytime off peak M-F service to hourly and scrap early evening services after 1800. Quite what purpose a TfL consultation has over a commercial service that largely runs in Hertfordshire I don't know. Obviously the 615 does provide some unique links near Stanmore but TfL have never shown any inclination to serve these roads themselves, especially the Royal National Orthopeadic Hospital. I appreciate TfL separately consults over LSP applications - presumably over roads served and stands used by schools and sightseeing routes. On a more general point it seems Uno are struggling somewhat like many home counties operators. How long before Metroline take them over? It would be interesting (and probably bad) if Metroline took over Uno - University of Hertfordshire Student Union wouldn't exactly like their spin-off company to be taken away from them too badly. I had UoH as one of my options, and they told me that it's easier for changes for bus routes in Hatfield to suit students as it's a spin-off company even though it's technically run commercially contained. Notably the largest sell off of a Uni-spin-off company was Uni of Surrey's Space Centre. Would Uno beat that if it was sold off? I find a sell-off of Uno unlikely. It may just seem that it's not too viable to have the 615 too frequent as the 614 is still their main North London-Uni of Herts service. I made my comment off the back of recent tender losses and retrenchment by Uno. This rather suggests their operating environment is getting tougher and there is less revenue for them to chase. Hence the need to trim things back. I am sure the University wouldn't want to lose what it considers an important transport facility for students but one has to ask if a University should really be directly operating, albeit via a standalone company, bus services over a wide area including taking up TfL tendered work. Having a unit to run local shuttles between campuses and student accommodation is one thing but buses to Luton, Central London and Wembley Park? I've nothing against Uno - just musing about possibilities. Classic style, not MMC, and three have apparently turned up. 4th bus is awaited. Let's hope they have a back up or else they're in trouble from tomorrow when the inevitable happens!